For over 14 years, Nick was a martial arts and movement instructor. Partner dancing and salsa were a natural progression. For the past 11 years, Nick has been teaching Salsa and in particular, Cuban style Salsa, bringing to it his existing concepts of connection, balance, and fluidity. Nick combines decades of Cuban tradition with modern movement concepts of space, timing, and flow. Presently, he teaches club-style Salsa, Rueda de Casino, cha cha cha, son, and several martial arts. Nick has trained and taught all over the U.S., including extended periods in Cuba, Miami, New York, and Texas. Nick trains yearly with Yanek Revilla and Karelia Despaigne in Havana and Santiago de Cuba. He has also taught in Hawaii,Las Vegas and all over California at numerous Salsa Congresses, Festivals and Cruises and is the co-star of "The Quick And Dirty Guide To Salsa vol. 4". 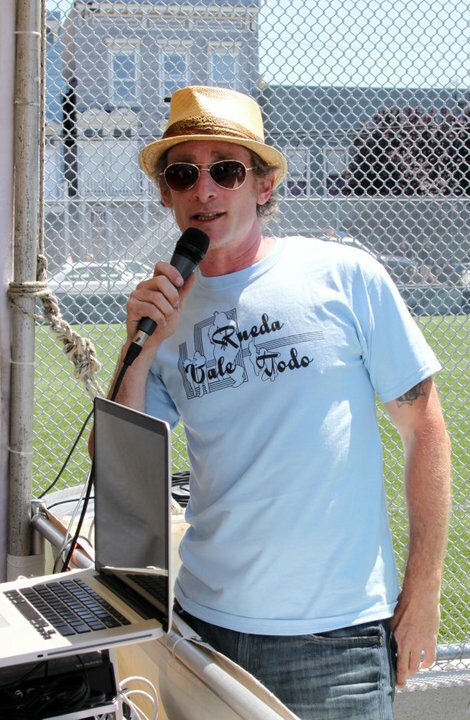 He has trained numerous instructors now teaching in S.F., Oakland, Portland and other cities in the U.S.. Nick is the co-director of Salsa Vale Todo and the co-producer of the Salsa Rueda Festival in San Francisco and Las Vegas. lthough I have picked up information from a variety of sources, these are the individuals that really affected and influenced my dance training.